List building is one of the most fundamental requirements for a successful online business. It is also difficult in this day and age where your audience is inundated with information, offer, and spam via email and social networks. Breaking through the clutter is difficult, but one tried and true technique continues to work: offering free value through a content upgrade in return for someone opting in to your email list. In this article, Neil Patel outlines all of the key elements of a great content upgrade along with numerous examples. I'm a big believer in this approach and add content upgrades to almost every blog post and podcast episode I create. In the beginning, when you don't have much traffic, this can be a lot of work for low initial return, but as your traffic grows and people start reading multiple posts from you, the strategy can begin to pay off if there is always an offer of free value via a content upgrade on each piece of your content. Email subscribers are the lifeblood of many online businesses. Once you have gotten someone to opt in to your email list through a lead magnet or some other incentive, you need to send them a well-crafted welcome message. Your new subscribers may be excited to get whatever you promised them, but also skeptical that you will immediately try to sell them something or otherwise overstep the boundaries of this most basic of relationship you have with them at this point. A good welcome email can put them at ease, provide them even more value, and open the door for you to ask for a few more micro-commitments like white-listing you so yyour future emails will get through, introducing them to your social network channels, and so on. This article outlines all of the things you want to think about for your welcome email. BeaverBuilder (affiliate) is one of the leading page building plugins out there. If you aren't familiar with these, I describe them in my Definitive Guide to WordPress for Online Entrepreneurs. Basically, page builders give you drag and drop design flexibility to custom page layouts and designs without needing to know how to code. I use BeaveBuilder on this site for some of the pages like my resource page. This week we released the ability to save and map your visitor’s responses to LeadBot’s questions as attributes. What does that mean for you? 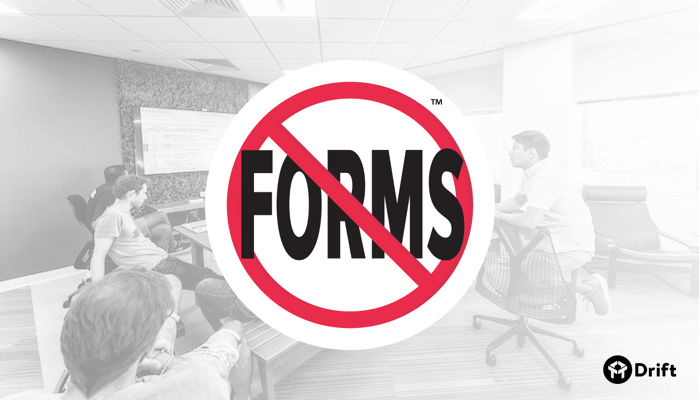 No more forms. On-site chat, messaging, and bots have really taken off in 2017. On-site chat or messaging is the chat bubble you see on a lot of sites (soon to be in mine again) that lets you interact in real-time with site visitors. Bots are closely related as they are technology that let you automatically ask your site visitors questions, answer their questions, or even have an entire dialog with them that if fully automated. Drift is one of the newer players in this space but growing very quickly. They advocate getting rid of all of your on-site forms and replacing them with chatbots, which they call LeadBot's. This article covers how they have added the ability to integrate answers to questions received through the chatbot and adding them to your CRM or Email service provider. Imagine a short survey or a few quick questions you ask of your visitor which then later you can use to tailor your messaging to them. Now instead of sending them to dedicated survey pages or other software, you can ask them right on your site and get the answers into your CRM right away. With our latest feature, we’re taking MonsterLinks to the next level… so you can see those amazing conversions not only on your own website, but everywhere around the web. This may sound like a simple thing, but the shareable MonsterLinks are huge for the way I like to do optins. I use both OptinMonster (affiliate) and LeadPages (affiliate). I prefer OptinMonster for the popups, lightboxes, and exit intent optins. You can use Leadboxes from LeadPages but they haven't been as flexible. I use Leadpages for landing pages only, then Leadboxes for optins just from those pages. The downside to OptinMonster until now has been there was no easy way to send people directly to your optins, say from social media or email. If you wanted to include a link to them, you had to send them to the page on your site where they were and hope the person clicks the link, image, or button you use to trigger the optin box. With this new feature, you can create a direct link to that. So for me, I often have a free PDF lead magnet on all of my posts. I use a link or an image that pops and optin box. But if I'd like to also mention that resource in an email, and have someone click to go directly to the optin, before this new feature I would have had to create a dedicated page or Leadpage in order to do that. But now I can just create a MonsterLink. For my workflow at least, this saves a lot of time and will let me use my lead magnets in new ways. 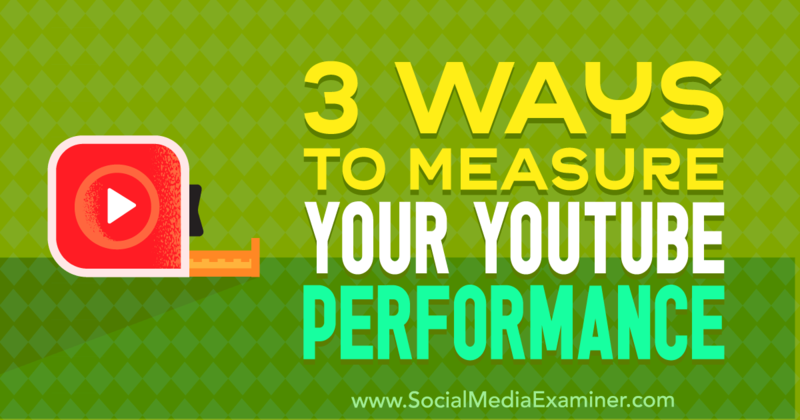 This is a great article on how to analyze your YouTube channel's performance as well as individual videos. I'm collecting good YouTube resources as I am about to start doing twice weekly videos on YouTube. This is a quick read but provides some good detail on all the free analytics you get from YouTube. I really enjoyed this article as it doesn't just provide quick tips and pretend that you can get this high of a relevance score right off the bat. It outlines a process for starting well but then dialing in your ad to get the higher relevance scores. If you aren't familiar with what that is, it's yet another Facebook algorithm that uses the responses of people to your ads to score the ad. Lower relevance score ads get displayed less and have a much higher cost than ads with high relevance scores. So this is a critical factor if you run a lot of Facebook ads. This acquisition is an interesting (and smart) move by Vimeo. Livestream is a great company that produces hardware, software, and content delivery network for live streaming events. The hardware they make includes professional quality switching and titling hardware coupled with their software called Livestream Studio which is what many high-end streamers use. The final element is their live streaming content delivery network which let's you schedule and manage large scale streaming events. Vimeo had none of this tech or features but ovbviously is very large in the corporate video hosting market so it seems like a good combination. Ever think there ought to be a simpler way to make sales online? Today, we’re happy to confirm that you’re absolutely right. Checkouts are pretty big news from Leadpages (affiliate). They have added the ability to do purchases right from your landing pages and lead boxes. The purchases are via Stripe integration and when combined with Leadpages lead magnet delivery service, you have a very simple and tightly integrated way to do basic e-commerce without worrying about seperate shopping cart software or plugins. For simple scenarios like selling a PDF ebook or some other kind of download, this can dramatically simplify your tech stack. It won't be replacing Woocommerce or anything like that anytime soon, but if your needs are modest, it's definitely worth checking out.